Local environmental advocacy group Friends of the Eel River has filed suit against the Humboldt County Board of Supervisors over its changes in the Cannabis Cultivation Land Use Ordinance. Representatives from the group attended a boisterous May 8 public comment period to voice their concerns about the changes to the permitting process, which they say do not offer sufficient oversight to protect salmon species and river health in local watersheds. “With marijuana legalization, Humboldt County has a real chance to build a sustainable cannabis industry. Instead, the Supervisors have moved to prop up yet another boom and bust industry," said FOER Executive Director Stephanie Tidwell in the press release. “In order to preserve the integrity of the case the county will not comment on pending litigation,” county spokesperson Sean Quincey said in response to a Journal inquiry on the litigation. 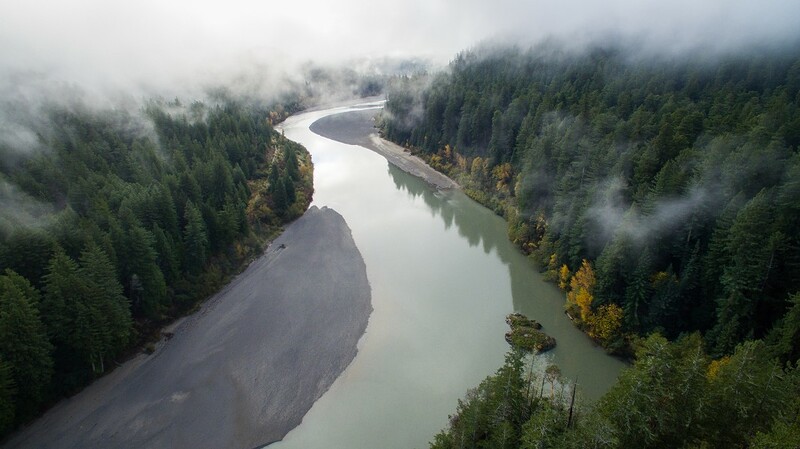 Friends of the Eel River (FOER) has filed suit against the Humboldt County Board of Supervisors for failing to adequately protect our native fish and waters from the impacts of cannabis cultivation. In early May, Supervisors approved a Cannabis Cultivation Land Use Ordinance that would allow 3,500 cultivation sites to be permitted without the careful analysis necessary to insure those operations will not have significant impacts on Humboldt County’s watersheds and wildlife. Adverse watershed impacts associated with marijuana cultivation include increased sediment from roads, stream crossings, and grading activities; dewatering salmon-bearing streams; and introduction of toxic pesticides and fertilizers. The County’s ordinance is environmentally and economically unsustainable. As of May 30th, the State of California has already issued 3,664 cultivation licenses statewide, which could produce more than three times the projected total state demand for weed. The 770 licenses Humboldt County has already issued under its 2015 medical cultivation ordinance can alone supply half of estimated statewide demand. So Humboldt County’s proposed “cap” of 3,500 permits could produce twice as much cannabis as the entire state of California is likely to consume. With actual legal sales well behind initial projections, and prices for cannabis continuing to drop, the mismatch between the new legal market’s demand and the old black market’s massive overproduction keeps growing. Humboldt County’s preferred solution to the enormous black market marijuana industry it has allowed to take root is to give permits to as many operators as it can convince to take them ­– an approach that tries to wish away the economic and ecological limits the legal industry must face. “With marijuana legalization, Humboldt County has a real chance to build a sustainable cannabis industry. Instead, the Supervisors have moved to prop up yet another boom and bust industry. As was the case with the old-growth logging industry a generation ago, the boom times of the Emerald Triangle’s weed industry are over, and the bust is upon us. If we are to break the cycle, we must not only minimize the industry’s ecological footprint but also plan for a future that embraces diversified, sustainable economic development instead of short-term gain,” said FOER Executive Director Stephanie Tidwell. The lawsuit was filed in California Superior Court on June 6, 2018.